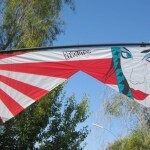 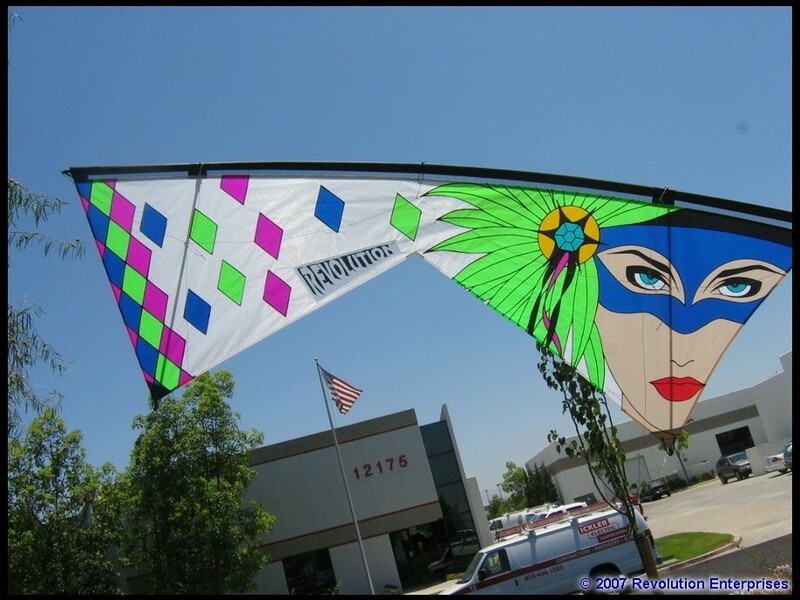 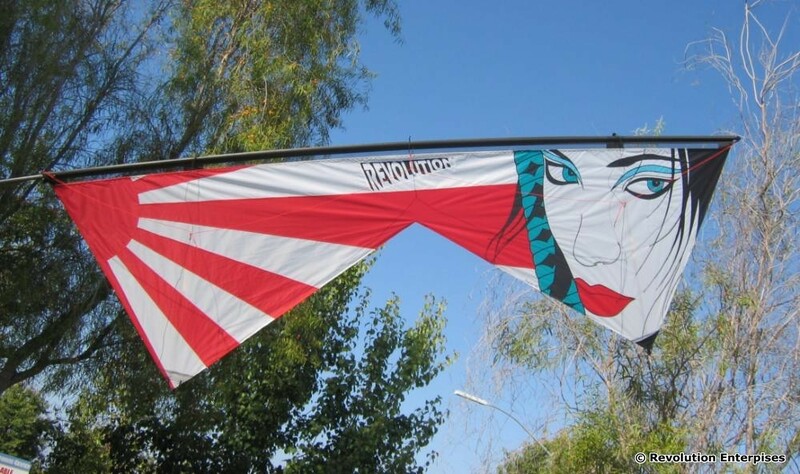 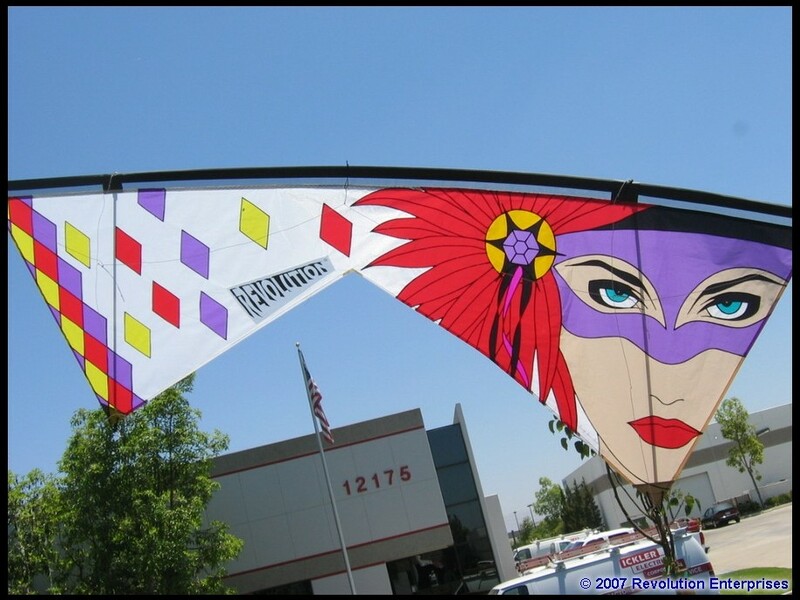 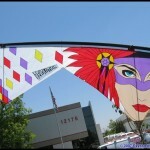 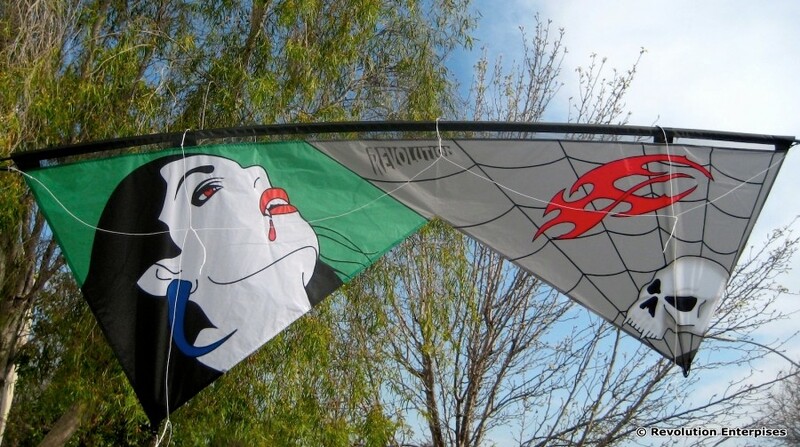 When speaking of master kite builders, no conversation would be complete without the mention of Randy Tom. 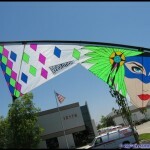 A master designer, manufacturer, and master builder, Randy has been flying single line and sport kites since 1979… His 6 person team first performed at the 1982 Blue Angels Airshow at Miramar Air Station in San Diego, he is now a member of the Bay Area Sundowners and is commonly credited with pioneering the techniques of stained glass into appliqué work on kites. 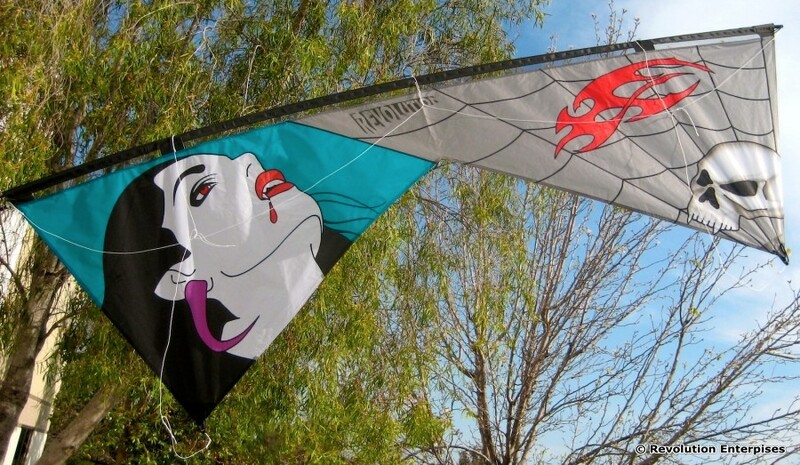 Randy is reuniting with Rev after more than a decade. 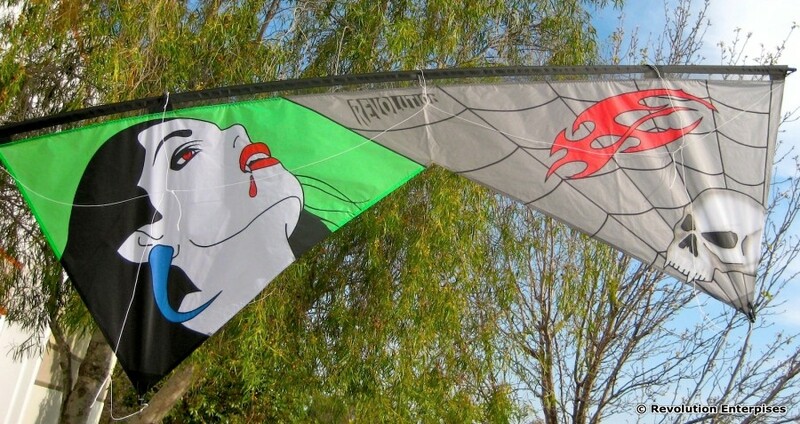 He has once again created a masterpiece to rival his original Nagelesque Revolution… His masterpiece designs speak for themselves combining both beauty and grace on Revs most popular platform, the Rev 1.5. 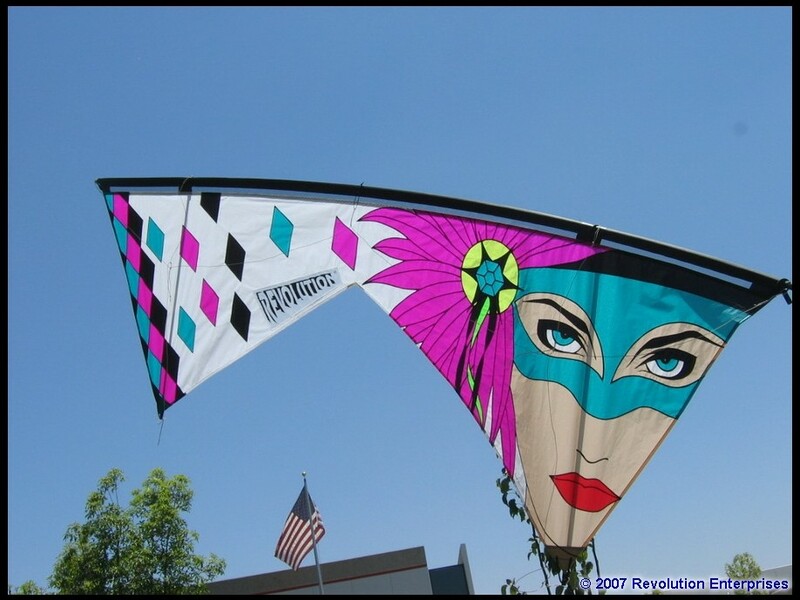 As most of you know when you fly a “Revolution” you get bitten by the bug and one is never enough. 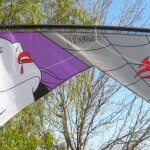 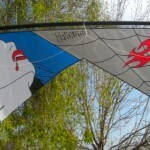 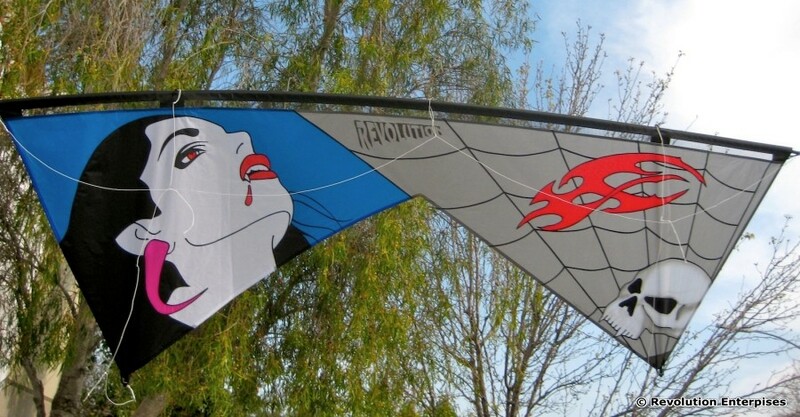 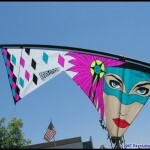 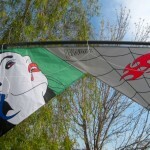 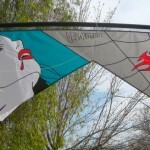 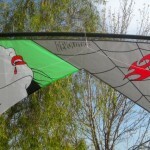 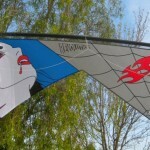 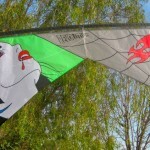 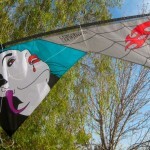 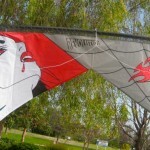 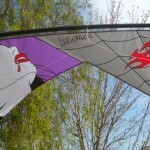 This “Randy Tom” creation is exactly what this kite shows ‘cause once bitten you too will be a part of the “dark side”. 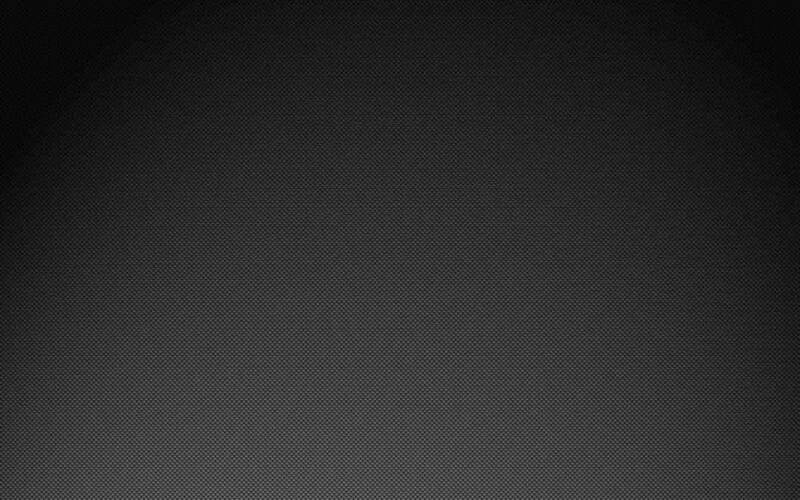 So here we have ten of these creations and there will not be others.